September brings feelings of a new beginnings and the promise of fall. With the school year starting, we can’t help but think of bouquets of freshly sharpened pencils and that wonderful, seasonal fall fruit: The Apple. 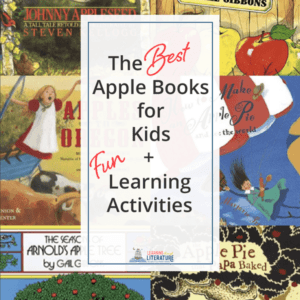 What better way to usher in the season than with some fun apple books and activities? 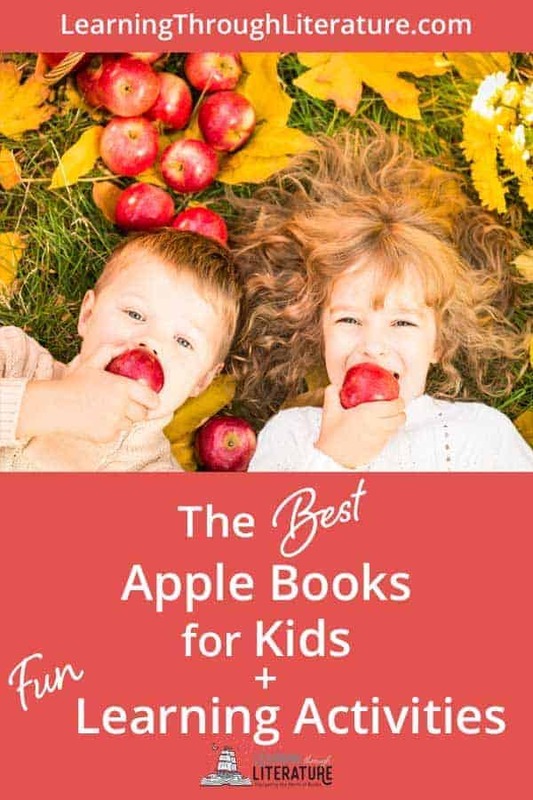 There are so many options when it comes to apple-themed books, but we have a handful of favorites that offer variety for the topic. 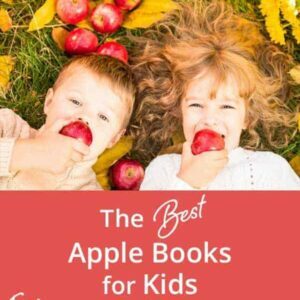 Let’s investigate The Best Apple Books for Kids + Fun Learning Activities. These tall tale books are delightful stories based on real-life events and people. They’re a little history with a side of silly. 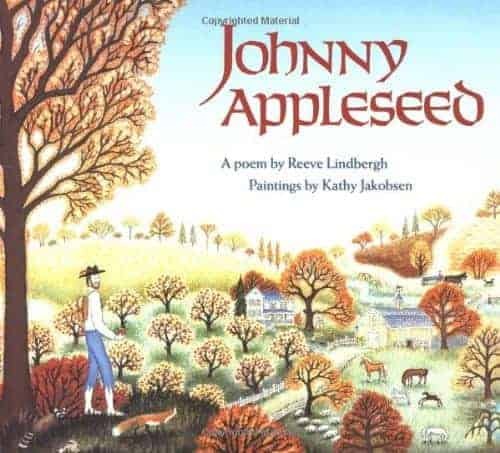 In this Johnny Appleseed book rhymed text and illustrations relate the life of John Chapman, whose distribution of apple seeds and trees across the Midwest made him a legend and left a legacy still enjoyed today. Apples, ho! When Papa decides to pull up roots and move from Iowa to Oregon, he can't bear to leave his precious apple trees behind. Or his peaches, plums, grapes, cherries, and pears. Oh, and he takes his family along too. Follow the characters’ travels on a map. Compare planting seeds with planting seedlings. 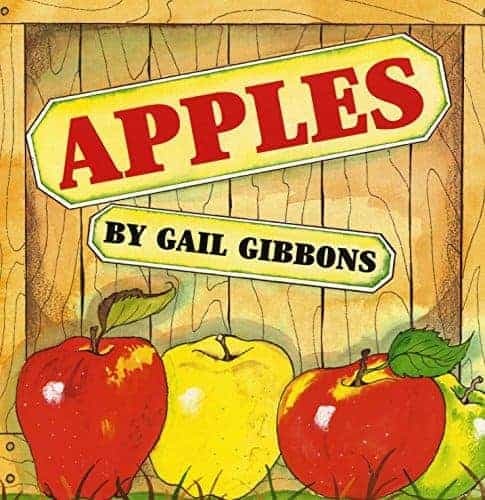 Find and read of other famous tales that include apples (fairy tales, folk tales, etc). Enter your email address using the blue form below, click subscribe, and you’ll be signed up to receive the Learning Through Literature newsletter emails. As a bonus we’ll send you a FREE Printable Parts of an Apple Activity Page from our Johnny Appleseed Guide. It’s perfect for dissecting an apple! Look for a Confirmation email and when you click Confirm the printable should immediately download. 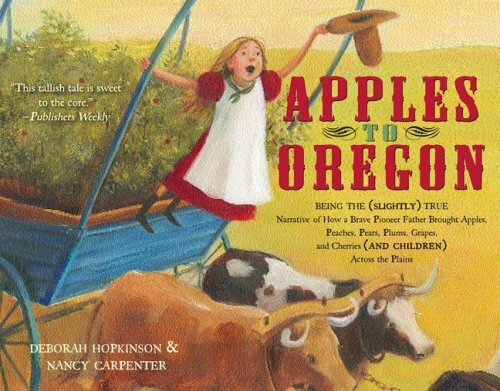 These apple books walk through the process of making apple pie in fun, engaging ways. Each has a slightly different twist, and both are delightful read-alouds. Similar to The House That Jack Built. 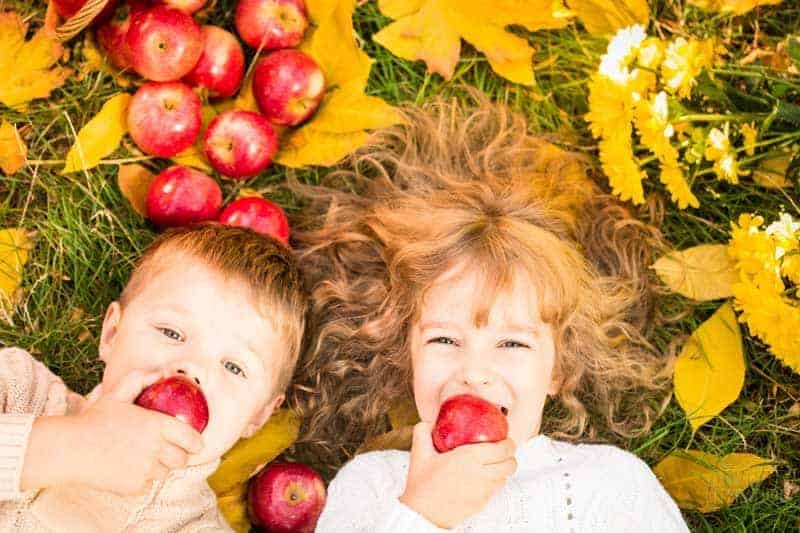 A sweet repetitive rhythm will captivate children in a story about apple pie, from harvest to snack. An apple pie is easy to make…if the market is open. But if the market is closed, the world becomes your grocery store. Bake an apple pie together (or a different apple dessert). 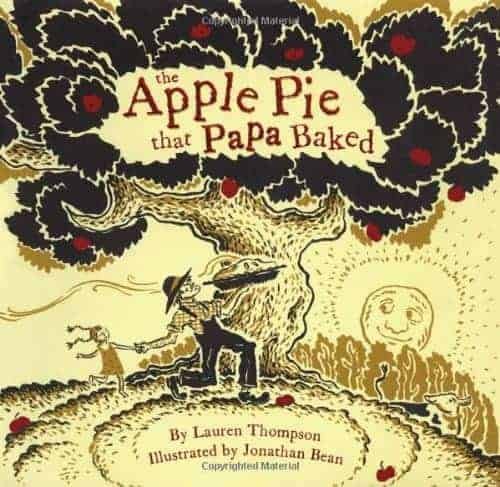 Read the original poem that inspired The Apple Pie that Papa Baked. 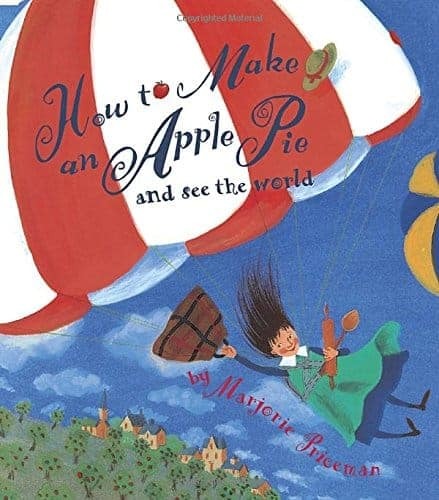 Find on a world map the locations mentioned in How to Make an Apple Pie and See the World. 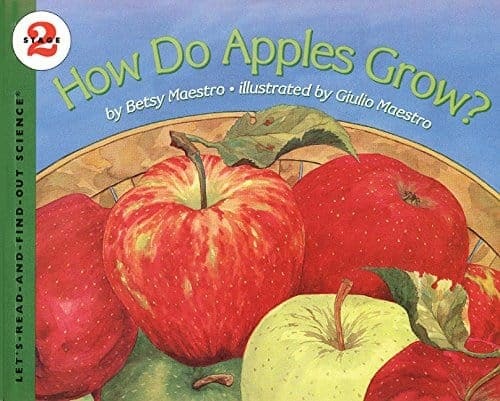 All of these books give simple but helpful information to learn about how apples grow throughout the year. Investigate the nature science behind the favorite fruit with these options. 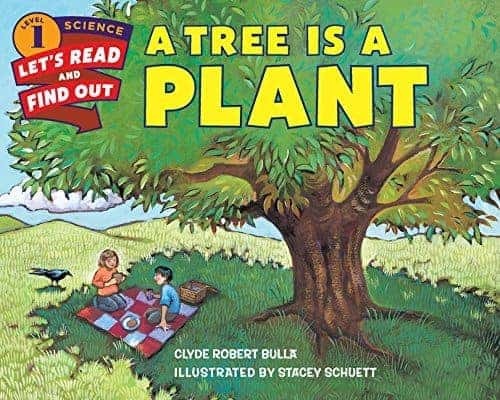 Did you know that a tree is the biggest plant that grows? How does a tree get the food it needs? What happens to trees in the winter? Read and find out about an apple tree's life cycle through every season. This book about nature and the changing seasons focuses on a young boy and a very special apple tree. 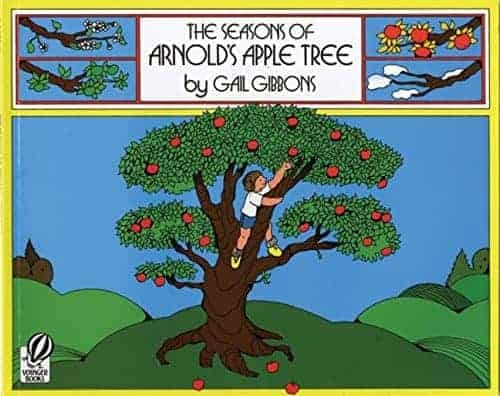 In Gail Gibbons’s bright illustrations, Arnold collects apple blossoms in spring, builds a tree house in summer, makes apple pie and cider in the fall, and hangs strings of popcorn for the birds in winter, among other seasonal activities. Have you ever eaten part of a flower? You have if you have eaten an apple! Find out how an apple grows from bud to flower to fruit--ready for you to pick! Learn about the apple tree’s life cycle. Identify the parts of an apple. Cut open an apple and count the seeds. Visit a nearby apple orchard. Create an apple-inspired yarn craft. Write an acrostic poem from the letters A-P-P-L-E. Taste test apple varieties to find favorites. However you choose to celebrate Fall, be sure to include apples! It’s a great theme for introducing multiple learning topics and fun project ideas with children. 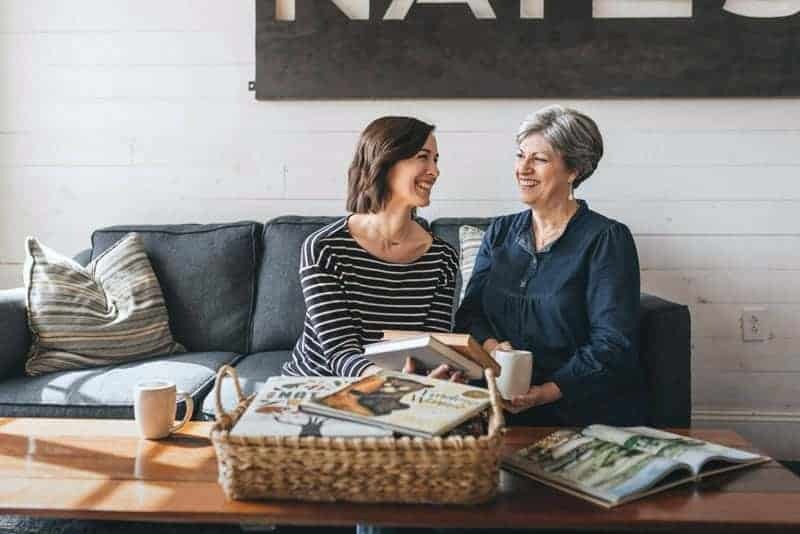 Share some of your family’s favorite apple projects in the comments! 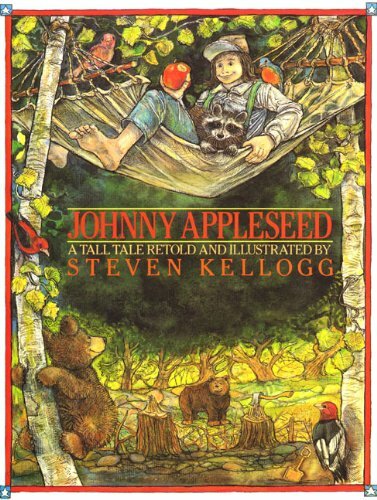 Be sure to check out the Johnny Appleseed Guide in our Shop. It’s an adventure full of fun, meaningful projects for families who want to center their learning around great stories.